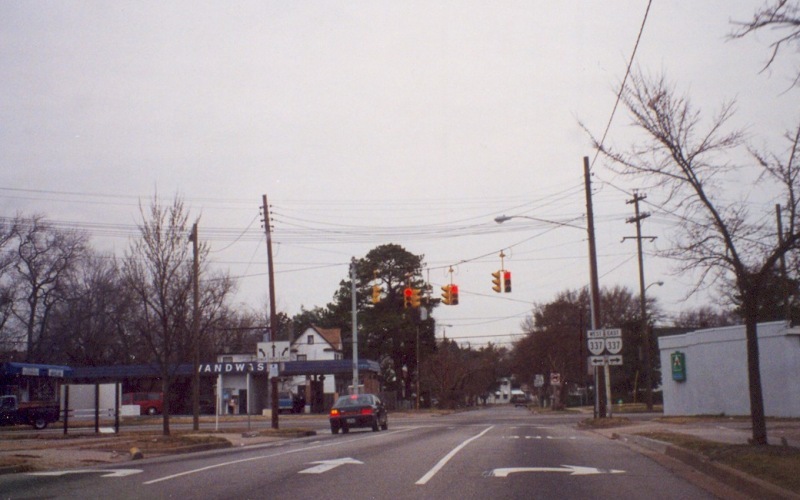 VA 247 is an urban route in the city of Norfolk which, from west to east, follows the 26th St/27th St duo, Lafayette Blvd, Chesapeake Blvd, then Norview Ave before terminating at VA 165/Military Hwy near Norfolk Int'l Airport. 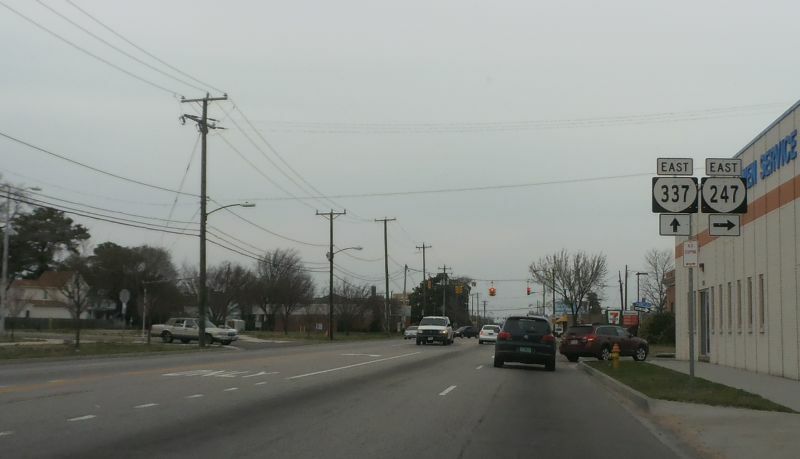 This is westbound at the west end at 27th St/Hampton Blvd. Photo by Adam Froehlig, taken February 23, 2002. 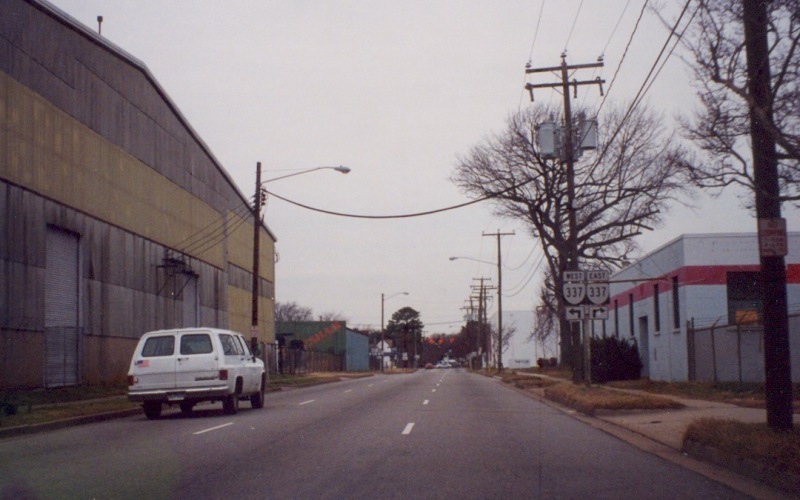 VA 247 from VA 337 east. These are some ugly shields. Photo by Mapmikey, taken March 22, 2014. Along VA 247 east approaching VA 165. There are no VA 165 signs this way, but VA 247 is posted both ways from VA 165. Photo by Mapmikey, taken April 7, 2006.